Chef Jamie Bissonnette earned his Culinary Arts degree from The Art Institute of Fort Lauderdale by the young age of 19 and spent his early 20s eating and cooking his way through Paris, San Francisco, New York and Phoenix. After cooking in Europe and across the US, Bissonnette settled in Boston and began working in some of the city’s most notable kitchens. Following stints at a few highly regarded restaurants, Bissonnette opened Eastern Standard as executive chef in 2005. He was next recruited for the steakhouse KO Prime, and that year in 2007, The Improper Bostonian named him “Rising Star Chef” and KO Prime “Best New Restaurant.” In 2008, Bissonnette joined Ken Oringer as executive chef and partner of the acclaimed tapas restaurant, Toro, in Boston’s South End and together in 2009 they opened the innovative Italian enoteca Coppa. 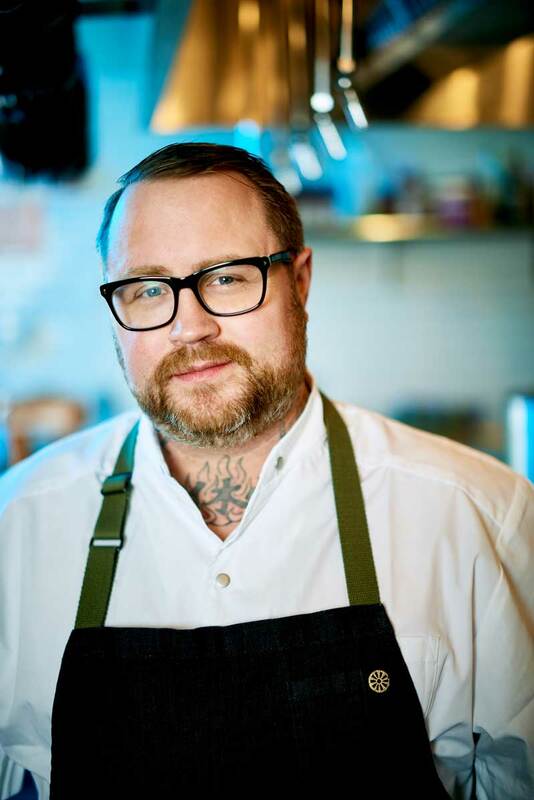 StarChefs awarded Bissonnette Rising Star Chef that same year, and directly following Coppa was awarded 3 Stars in a rave review from the Boston Globe and honorable mention in Esquire’s Best New Restaurants annual list. In 2011, Bissonnette was awarded the prestigious honor of Food & Wine magazine’s first ever People Choice Best New Chef. Since then, Bissonnette has been named Best Chef: Northeast at the 2014 James Beard Foundation Awards. Bissonnette is a champion of nose-to-tail cuisine and is well-known locally and nationally for his exceptional charcuterie and passionate dedication to supporting local, sustainable purveyors. In September 2014, Jamie launched his debut cookbook—The New Charcuterie Cookbook: Exceptional Cured Meats to Make and Serve at Home, featuring a foreword by Andrew Zimmern. In Fall 2013, he opened Toro NYC in New York City’s South Chelsea neighborhood, which was met with critical acclaim from The New York Times, New York Magazine and others. The duo debuted their first project in Cambridge, MA—Little Donkey—in Summer 2016, which received a glowing review from Boston Magazine and Restaurant of the Year in The Boston Globe. In 2016, Bissonnette and Oringer brought Toro overseas to their first international location in Bangkok, Toro Dubai following in fall of 2017. Bissonnette continues to travel between his restaurants, forever finding inspiration for his menus and future projects from cuisines across the world.